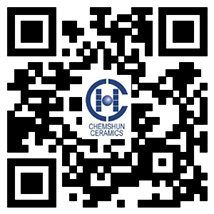 Founded in 2002 year, Pingxiang Chemshun Ceramics Co.,Ltd dedicates to be an expert of manufacturing wear resistant alumina ceramic lining products, ZTA Ceramic liner (Zirconia toughened alumina ceramic) and wear protection solution provider, Chemshun Ceramics provide on-site installation service. The wear abrasion resistant ceramics output is 5000ton years. The major raw material alumina powder is imported from Australia and France. Around 60% products are directly exported every year. With 17 year's experience in the wear protection field, Chemshun produce cost-effective wear resistance alumina ceramics, developing the new products ZTA ceramic liner and supply wear solutions, to solve the customer’s problem of: wear in bulk materials handling and help customers reduce the maintenance costs and minimize downtime to prolong the equipment usage life and improve the factory performance. 92%Al2O3 & 95% Al2O3 Standard wear resistant alumina ceramic liner/cylinder/mosaic/hexagon tile/ceramic cubes. ZTA (Zirconia toughened alumina) ceramic linings, ZTA rubber ceramic liners. Abrasion resistant high alumina ceramic pipe/tubes ,diameter from 20mm to 500mm. Ceramic rubber wear liner/Steel Rubber ceramic composite panel. Wear resistant pre-engineering tile in a variety of geometric shapes from simple to complex,the ceramics can be engineered or moulded to specific shapes to customer’s requirement. Ceramic lined process equipment like pipes,,bends,chutes,hoppers,bunkers, cyclones…etc. Excellent corrosion resistance (resist the strong alkaline, strong acid slag,and liquefied materials). Excellent heat resistance( up to 1500 C). Smooth surface can be reduce barrage and friction coefficient to prolong the device working life. Low density reduce the lined equipment weight and improve the equipment working effectiveness.? Chemshun wear resistance alumina ceramics, ceramic liners and ZTA ceramics is widely used in the mining,mineral process, power generation plant,steel plant,cement industries, petro-chemical refining, coal washery and port etc. Common items equipment need wear linings are: Agitators, Bends, Branches, bunker, Chutes, Classifiers, Cones, Cyclones, convey belt, Distribution Box, Ejectors, Fans, Feeders, Hopper, Launders, Manifolds, Mills, Orifice, Pipes, Pipe Bends, Pipe fitting, Pulley lagging, Silos, Splitter Boxes, Spoons, Square Bends, Square to Round, Tanks, Troughs, Transfer points, T-Pieces, Y-Pieces etc. Not only professionally producing alumina industrial ceramics, ZTA ceramics, Chemshun technician team and installation team will help the client to choose the right product and provide the CAD design drawings for the pre-engineered tiles, designed layout drawing and installation of ceramics. Chemshun has her own professional R&D department, experienced management team, highly skilled engineers, technically trained workers with sophisticated machines. ''Integrity, Innovation, Growth, Sharing, Happiness' chemshun team welcome the global customers' visiting and communicaton!